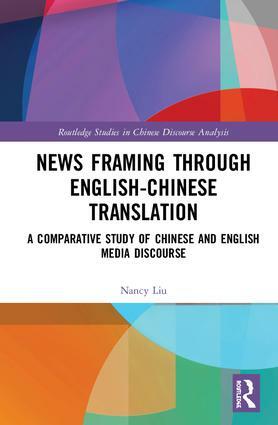 Routledge Studies in Chinese Discourse Analysis aims to examine Chinese discourse from a variety of angles, including linguistic, semiotic, philosophical, sociocultural, literary, political, technological, psychological and neurocognitive perspectives. It aims to study Chinese discourse with rigorous and state-of-the-art research methods in order to reveal not only linguistic principles but also ideological and environmental factors working at the background that help create the text in different discourse settings. This series is the first well organised attempt to map out the Chinese language at the discourse level that offers much richer interpretation of words and sentences than existing discussions limited to structures of sounds, words and sentences. By using cutting-edge research methodologies such as multimodal analysis, critical analysis, ethnography of communication, corpus-based analysis, and various newly developed linguistic, literary, neurocognitive and computational methods, the series hopes to uncover many secrets of the multifaceted Chinese discourse that can lead to better understanding of the Chinese world as a whole and the individuality of different Chinese communities from around the globe. The series is not just about language; it is more concerned with the use of language in both historical and contemporary settings. The research findings presented in this series will be significant not only to the linguistics discipline, but also to the wider subjects of arts and humanities and social sciences, as well as many scientific disciplines that will benefit from a deeper understanding of Chinese discourse that is intimately connected to its creator, audience and environment that give it a life behind and beyond the form it takes.